The energy industry has launched a broad effort in Washington to fend off this proposed tightening of federal oversight, lobbying members of Congress and publishing studies that highlight what it says are the dangers of regulation. In mid-May, the industry released a detailed report asserting that the changes in current law would cost jobs and slash tax revenues. A key advocate of past efforts to regulate gas drilling, Rep. John Salazar (D-CO), has declined to support the legislation, expressing concern about how it would affect the energy companies. However, with a strengthened Democratic majority in Congress and the party's capture of the White House in last year's election, the fracturing legislation is viewed as having its best chance at passage in years. Its House sponsor, Rep. Diana DeGette (D-CO), aims to attach a bill to a larger piece of legislation with broad support -- possibly a bill on climate change or a new energy policy measure – where it would be shielded from industry resistance. On the Senate side, according to congressional staff close to the effort, Sen. Bob Casey (D-PA) has a companion bill ready to follow. The drilling process involves injecting millions of gallons of water and sand mixed with tens of thousands of gallons of chemicals -- some that are known to cause cancer -- deep into the ground, where as much as a third of those fluids typically remain after the gas is removed. "The regulatory loophole for hydraulic fracturing puts public health at risk and isn't justified," Henry Waxman (D-CA), chairman of the House Energy and Commerce Committee, which will offer the bill, said in an e-mail. "The current exemption for the oil and gas industry means that we can't even get the information necessary to evaluate the health threats from these practices." "We don't think the system is broke, so we question the value of trying to fix it with a federal solution," said Richard Ranger, a senior policy analyst at the American Petroleum Institute. "So proceed with caution if you are going to proceed with regulating this business because it could make a very significant difference in delivering a fuel that is fundamental to economic health." Proponents of regulation, including DeGette, the author of the bill, say protecting water resources is worth the slightly higher gas costs that might come with regulation, but that the industry's assessment of those costs is dubious. The exemption, they say, has artificially lowered drilling costs because it means the companies don't always have to follow the safest practices. "I find it kind of a novel argument that it will be burdensome to comply with one federal law when they could potentially have to comply with 50 state laws," she said. "I just think that they don't want to have to do it." A key question for proponents and opponents alike is how strong a stance President Barack Obama's administration will strike on this legislation. A White House spokesman said that the administration hasn't yet taken a position. "We are not aware of any other industries that have an exemption," said Stephen Heare, director of the Drinking Water Protection Division at the Environmental Protection Agency. States often look to the federal agencies for guidance on how to craft environmental rules. And hydraulic fracturing is an especially complicated process that scientists say warrants more study. The current regime leaves state agencies -- which are often understaffed and underfunded -- to do their own research and develop their own best practices, according to EPA scientists. Natural gas, used for heating, electricity and manufacturing, supplies a fifth of the energy used in the United States and is an increasingly valued resource. According to the Energy Information Administration, domestic gas reserves, including those held in vast shale deposits that underlie the Appalachian states, could meet the country's natural gas needs for more than 100 years. Without hydraulic fracturing, which is now used in almost all new gas wells, much of this supply would remain beyond reach, according to the American Petroleum Institute. Natural gas is also widely viewed as an important transitional fuel in American climate and energy policy -- emitting 23 percent less carbon dioxide per unit of energy than oil. Its development has spurred jobs and economic activity in some of the poorest and most rural parts of the U.S. But as gas drilling has expanded, a wave of reports have emerged that the drilling is affecting water. In Colorado and Wyoming, state and federal officials have concluded that benzene and other contaminants have made their way into aquifers, streams and well water as a result of drilling accidents or spills of drilling fluids. Officials have linked methane gas in groundwater to drilling in Colorado (PDF), Ohio (PDF) and Pennsylvania. Fracturing may or may not be to blame, EPA officials say; it's hard to tell because they don't oversee the process and can't trace chemicals that are unidentified. "We're not talking about banning fracking here. What we're for is regulating it," said Rep. Jared Polis (D-CO), a co-sponsor of the House bill, emphasizing that his hope is to give scientists the tools to measure, and to control, its impact on the environment. "Other than oil and gas companies, I am not aware of anyone that supports allowing that to continue in an unregulated way." 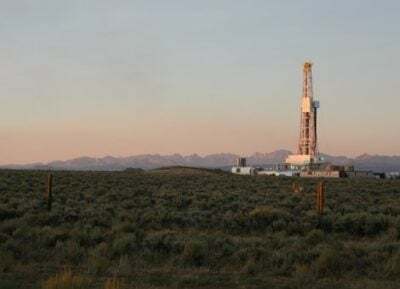 "I think Salazar is a very strategic target on all of this," said Sarah Tucker, an analyst for Trout Unlimited, a sportsmen's group that is lobbying for more oversight of drilling. "He is from an oil and gas district ... that gives him a lot more credibility when working on these issues. ... Those moderate Democrats are always the sticking point as to whether or not a bill actually moves." "I believe that developers may have legitimate concerns about the impact that removing the exemption may have on their ability to find and extract oil and gas," he said. "But ... the current regulatory approach is probably not sustainable and will probably need to be revised in some way." Passing such legislation has proved difficult in the past. This year's efforts to reverse the exemptions will constitute at least the fourth effort by Democrats to shore up protections against hydraulic fracturing since it became a focus of the White House's Energy Task Force in 2001. According to records of committee debates from 2003, the exemptions were forced through against objections, without hearings by a Republican majority and eventually tucked into the 2005 Energy Policy Act (PDF). Ever since, in the face of intense lobbying, any efforts to address the topic have stalled in committee. Last year the bill's authors, including Salazar, received a flurry of letters and phone calls urging them not to pursue the legislation. One, addressed to DeGette from Jerry McHugh, president of Denver-based San Juan Resources, said: "Now is not the time to impede development of any domestic resources. Please pull your sponsorship." The industry has spent millions of dollars lobbying Congress on issues including fracturing since 2008, according to disclosure forms filed with Congress. Now it's circulating new research to bolster its arguments. The industry -- which has long argued that fracturing has never been proven to have contaminated water -- points to a study published in April by the Department of Energy, which asserts that state laws adequately regulate hydraulic fracturing. But that report, titled "Modern Shale Gas Development in the United States: A Primer" (PDF), and written by the Ground Water Protection Council, a broad consortium that includes industry groups, contains several questionable statements. One passage notes that "the Safe Drinking Water Act regulates the injection of fluids from shale gas activities," without mentioning that the exemptions have created significant exceptions, and that on the whole the act does not regulate all injections. "You have very substantial economic elements that are concerned about their abilities to do whatever they want to for their own economic advantages," said Rep. Maurice Hinchey (D-NY), who is also sponsoring the bill. "They are going to do whatever they can to ensure that there is not a majority of the members here voting for something like this bill."